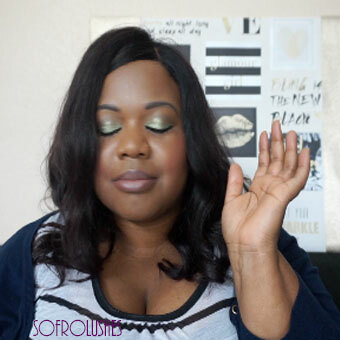 I was so excited about my L’Oreal bargains in the Poundland I forgot to blog about them. I tweeted about them instead. No time like right now huh. 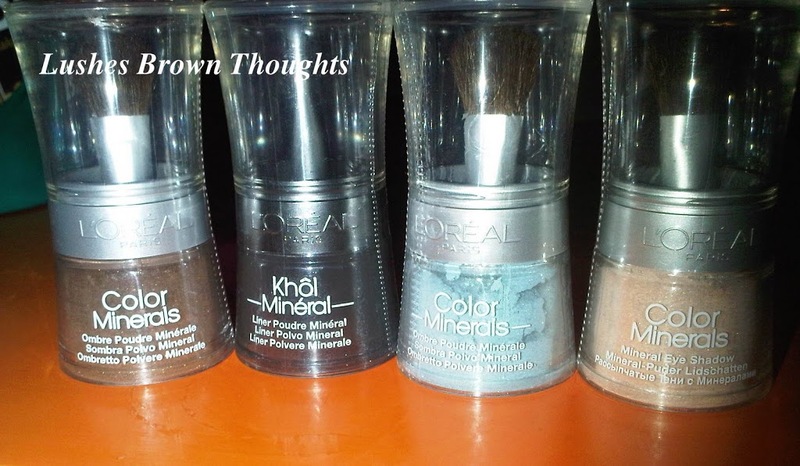 I picked up these three Color mineral eyeshadows and one Khõl mineral for £1 each at my local Poundland. They were bought during the recent Christmas holidays. I think they are so cute with the little brushes. I have only used one shade so far. I might play in my makeup to try a look very soon with these. 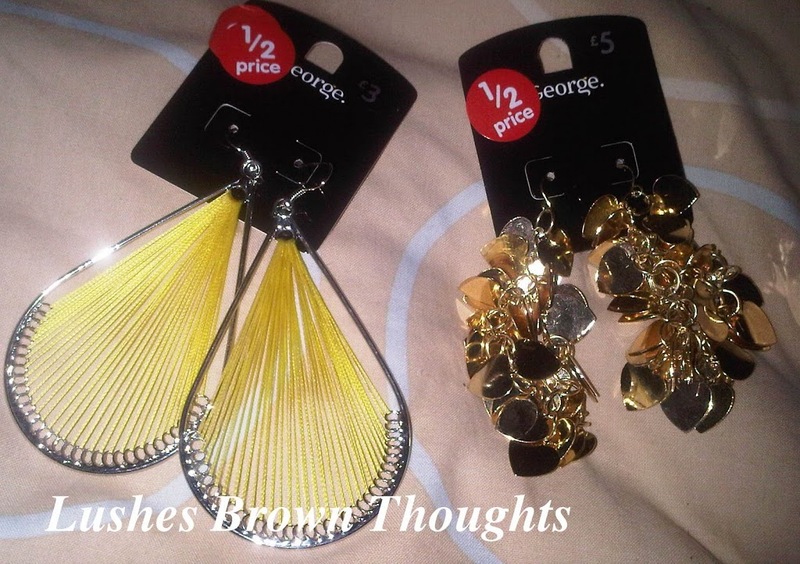 These earrings I picked up in the George section of Asda when I was supposed to be doing food shopping. So for me it is better I shop online for Asda. Only thing is, you cannot shop for food and clothes online at the same time. I might wear the heart earrings for my birthday meal next week. No idea when I will wear the yellow thread earrings but I so do love them.